Juhani was a Jedi Knight in the video game Star Wars: Knights of the Old Republic. She is widely thought to be the first lesbian character in the Star Wars universe (KOTOR is of course now considered Legends). 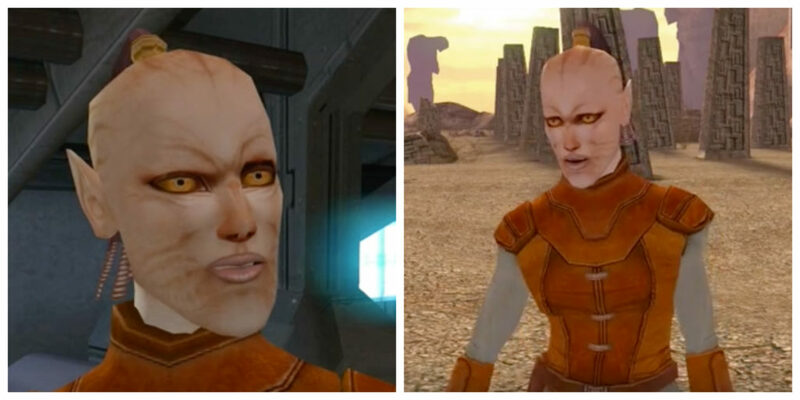 Actress Courtenay Taylor voiced Juhani in Knights of the Old Republic. Check out Juhani’s Wookieepedia page to learn more about her story. Here’s a little bit of gameplay with Juhani.